The fifty-six (56) below-signed organizations ask that you oppose legislation that seeks to construct three toll roads through rural Florida. These highways will not reduce traffic or provide safety during hurricane events. 1000 Friends of Florida found in its Florida 2070 report that Florida is on track to increase developed land to a full third of the State in the next half century. Sprawl is not progress. These toll roads will cost Florida hundreds of thousands of acres of farms and rural lands and fragment landscape and wildlife habitat. The intended “benefits” of these toll roads include water and sewer infrastructure which, with on and off ramps, will accelerate urban sprawl. Building these roads will be very expensive. The funding would grow from $45 million next fiscal year to $90 million in the 2020-2021 fiscal year, about $135 million the next year, and a recurring amount of $140 million starting in the 2022-2023 fiscal year. And that’s just for planning. Billions will be bonded to actually build hundreds of miles of limited access highways. Florida will be paying off the debt for more than a generation instead of funding education, healthcare, or needed infrastructure for wastewater, drinking water, and the roads and bridges we already have. These hugely expensive road projects and accompanying urban sprawl will devastate habitat for the Florida Panther and dozens of other endangered and threatened Florida species. They will destroy important wetlands, forests, springs, and aquifer recharge areas from Florida Bay to the Georgia border even though they would not serve an identified transportation purpose. 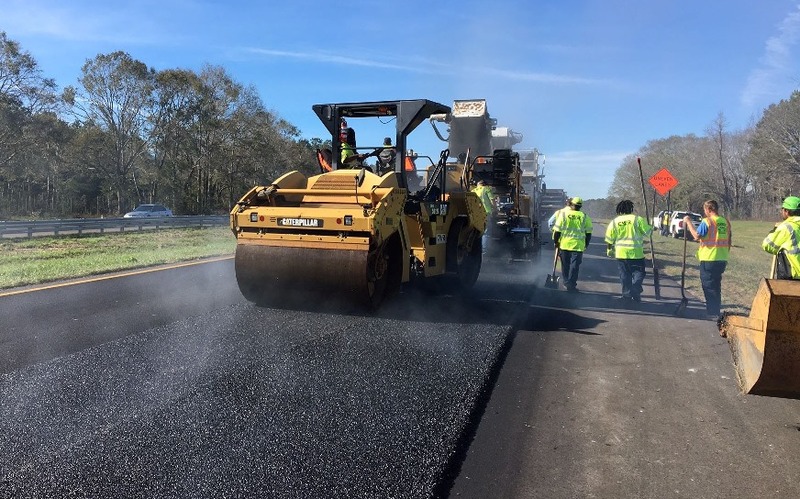 In fact, the FDOT Interstate 75 Relief Task Force recommended in 2016 that rather than new roads, a better approach was expanding the vehicle capacity of the interstate and connecting highways. Transit and planning relieve congestion, not building roads. Relieving congestion in urban areas requires a focus on transit. The American Society of Civil Engineers’ 2016 Report Card notes that only 2% of Floridians’ commutes to work were made by public transit and that Florida needs to develop and connect its transit networks with an additional $1.3 billion investment. Road building is not a sustainable economic development strategy for rural communities. In fact, these roads will route traffic away from communities established on existing roads, harming their economies. New tollways through west-central Florida are not the answer to hurricane preparedness. Floridians need more safe spaces in their communities to shelter during storms; only 42% of schools are designated hurricane shelters, indicating many schools do not meet the structural requirements. Providing safe shelters for evacuees is a more practical and affordable response to extreme weather events than new toll expressways. We urge you to spend Florida tax payer dollars wisely and reject the toll roads. Climate change is hitting Florida harder every year with higher temperatures, stronger hurricanes, and rising seas.Toxic algae blooms have become an annual ever-worsening statewide crisis. Legislature refuses to follow the will of voters on Amendment One, grossly underfunding land acquisition through the Florida Forever and Rural Family Lands Protection programs. Anti-Voter bills threaten democracy in Florida. 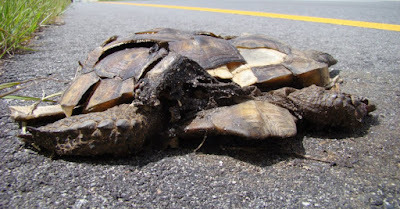 THE UGLIEST: Toll Roads bill is the worst environmental bill in 20 years. It would fuel massive sprawl which would destroy much of natural and rural Florida. It would also increase water pollution, flooding, and deplete our natural resources. Bills that ban all forms of fracking are hung up in the Legislature. Bills that preempt local regulation on issues of environmental concern result in no regulation. Governor talks climate change mitigation, but has no plan to address the root cause. Legislature only talks red tide mitigation; it has no plan to stop the pollution, which makes red tide worse, at its source. Everglades Reservoir is badly designed – a boondoggle if not fixed. Springs restoration continues to get short shrift. Donald Trump wants to conduct seismic blasting off Florida’s Atlantic coast and oil drilling in the Eastern Gulf of Mexico closer to Florida’s west coast. He just appointed an oil industry lobbyist to head the Department of Interior. Florida cities making strong commitments to convert to 100% renewable energy and clean transportation. Homeowners and businesses are adding rooftop solar at record rates. 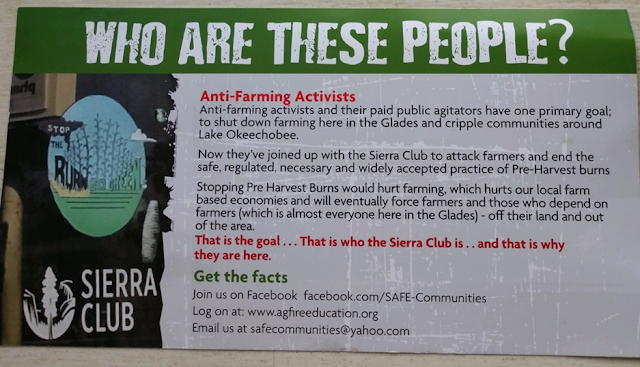 Florida Agriculture Commissioner’s opposition to drilling in the Everglades. Governor DeSantis is talking the environmental talk, but will he walk the walk? Will he veto bad environmental bills? A catastrophic plan for hundreds of miles of new toll roads into rural Florida is advancing quickly in the Florida Legislature. Senate Bill 7068 and House Bill 7113 would commit the state to spend billions of dollars to build three new tollways through some of the last remaining rural and environmentally sensitive areas in our state. See a map of what’s at risk. The tollway plan would divert an escalating amount of dollars from the state’s General Revenue, which funds parks, schools, healthcare, transit, affordable housing, hurricane recovery, and the maintenance of roads we already have. Even then, the state would still have to borrow billions more for construction and to buy land for right-of-ways. Our Florida tax money would be spent to the tune of $10 - $40 million per mile for hundreds of miles of new toll roads! This extravagant spending plan is unnecessary and will hurt the real and more pressing needs of Florida’s families. Moreover, these tollways will fragment natural landscapes, accelerate urban sprawl, destroy wetlands, and doom plans to preserve and restore critical wildlife corridors for animals like the Florida black bear and the endangered Florida panther. Calls are the most effective way to direct your legislators to vote NO on the destructive bills. Go here to find out who your FL state senator and state representative are. A brief message will explain why your legislators must VOTE NO on SB 7068 and HB 7113. It will immediately proceed to connect you with your state senator’s office. Demand they VOTE NO on SB 7068. If they do not answer, leave a message demanding the same. After you complete that call, you will receive a text with a prompt with a separate phone number to call your state representative. Demand they VOTE NO on HB 7113. While phone calls are the more effective way to make your demands known, if you’re not comfortable with calling (or have already called them), make sure to click here to send them an email asking them to vote NO on SB 7068 and its companion bill, HB 7113. Add a personal message with your own reasons for why these toll roads must be stopped. You can also customize the subject line of the email. Personalizing emails makes a HUGE difference! Thank you for contacting your legislators and asking them to protect the last of rural, wild Florida from unwanted expensive toll roads, to NOT PAVE PARADISE with more highways, to say NO to #TollRoadkill. During the Florida legislative session, we typically post about bills directly impacting the environment. But there are a number of anti-voter bills advancing in the legislature, and they are of concern as they have the potential to impact future voting for environmental issues. Right now, leaders in the Florida House and Senate are fast tracking anti-voter bills through the legislature that would make it even harder for voters to have a say when it comes to amending the Constitution on Election Day. House Bill 7111 / Senate Bill 7096 seek to make it unnecessarily difficult for citizen-led groups to get the signatures required for a proposed amendment to get on the ballot and adds unnecessary and confusing language to Floridians' ballots which is designed to defeat citizen proposed amendments. Additionally, special interest aligned legislators want to raise the already high bar for passage from 60% to 66% via House Joint Resolution 57 / Senate Joint Resolution 32. Certain legislators also are seeking to restrict Voting Restoration Amendment 4 via House Bill 7089 / Senate Bill 7086. Approved by 65% of Florida voters, Amendment 4 allows most people who have completed their sentences to register to vote, though those convicted of felony sexual offenses or murder are still barred. Powerful Florida legislators, however, are now trying to have a say in how the amendment is implemented — introducing bills that would likely make it harder for thousands to be re-enfranchised. These bills place restrictions on the eligibility to vote for individuals who should have their voting rights back. Among other deficiencies, the bills would effectively disenfranchise two categories of returning citizens for life: those with very small financial obligations that they will never be able to pay due to poverty and those with financial obligations for non-violent property crimes. To finance its criminal justice system, Florida imposes both fines and “user fees” on defendants upon conviction. Individuals may be fined up to $500,000 for their crime, and then are saddled with an array of administrative fees. Defendants must pay hundreds or thousands of dollars to fund court costs, “crime prevention” programs, and local jails. They must pay a fee to apply for a public defender, to receive medical treatment in prison, to reinstate a suspended driver’s license, and to participate in drug abuse treatment. Those who receive probation must pay “surcharges” to fund their supervision or room-and-board at a halfway house, as well as electronic monitoring and urinalysis. This is clearly an attempt to thwart the intent of Amendment 4 and to continue Florida's history of voter disenfranchisement. So how do these bills impact our protection of the environment? We need only look back to 2014 when 75% of voters approved the Water and Land Conservation constitutional amendment. After years of being ignored by legislators, citizens made their priority clear regarding land protection. Amendment 1 sets aside one-third of documentary stamp tax revenue to buy, manage and improve conservation lands and water resources for 20 years. Now legislators are trying to make it harder to not only get an amendment on the ballot, but they are raising the threshold that must be met for passage! Restoring voting rights also is important to our work. In 2014, the Sierra Club adopted the Jemez Principles for Democratic Organizing to facilitate it becoming a more equitable, just, and inclusionary organization. A component of the Principles is that “we hope to achieve just societies that include all people in decision-making….” Amendment 4 is in alignment with these Principles and attempts by lawmakers to thwart voter intent is unacceptable. Please call your Florida Senator and Representative and demand that they oppose all anti-voter legislation! 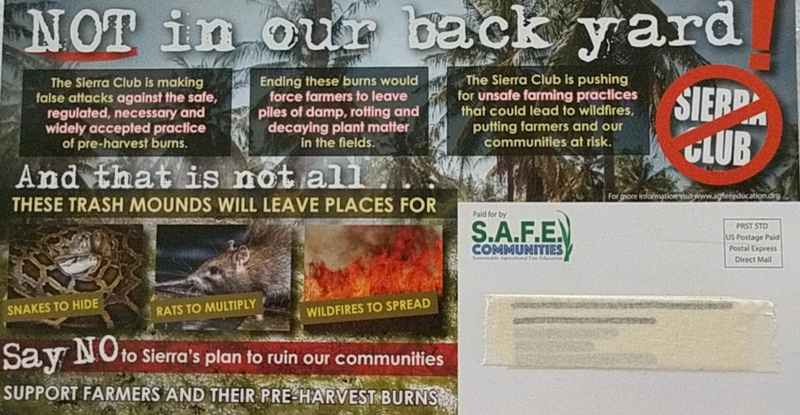 In February, Sierra Club partnered with local Stop the Burn activists to send a mailer out to residents in Belle Glade, Pahokee, and South Bay. 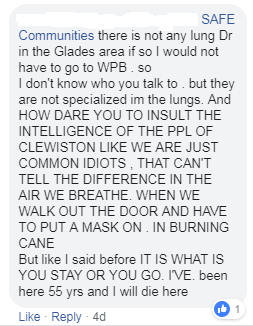 Impacted residents want the industry to be better neighbors by keeping the smoke, soot, and ash off of residents’ property and out of their lungs. The leaves (trash) that now go up in smoke should instead be utilized to create jobs close to the sugar fields like they do in Louisiana (biochar), Australia (mulch), and Brazil (bio-fuels, and electricity). Using the trash, instead of wasting it, can also provide new sources of revenue for sugar growers. 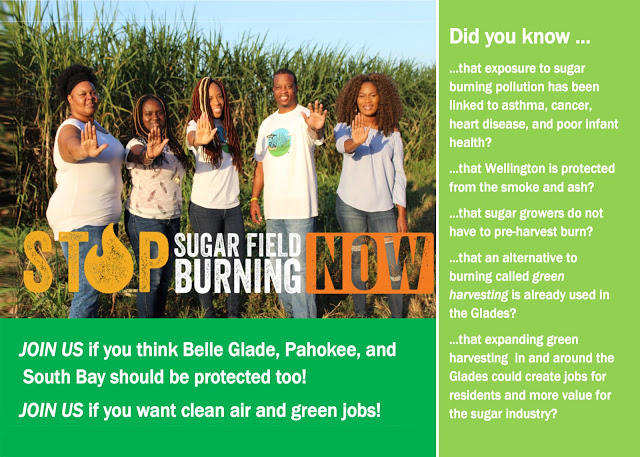 Well, the sugar industry responded by sending a variety of postcards, and even a TV commercial, to residents in Western Palm Beach, Hendry, and Glades counties under the banner of “S.A.F.E. Communities.” They really went off! Their line is that pre-harvest burning is “safe, regulated, and necessary” but we beg to differ (click here for lots of reasons why). The industry has resorted to making false claims that our grassroots environmental justice campaign is instead a conspiracy to put the industry out of business. Their fear mongering defies both common sense and established science and proves that something is wrong. Click here to see all of the postcards we’ve gathered so far -- pasted below are a couple of examples. They really got it wrong. Actually, where green harvesting is practiced the trash is managed on the field as mulch (definitely not left in mounds) or carted away from the field to be used to produce a variety of sustainable products. And even better, the Stop the Burn Campaign is growing stronger than ever. Do you think it’s time to stop the burn too? Want to join the campaign? Click here to get started. We think the riches extracted from the soil should be used to improve the local economy. Don't you?